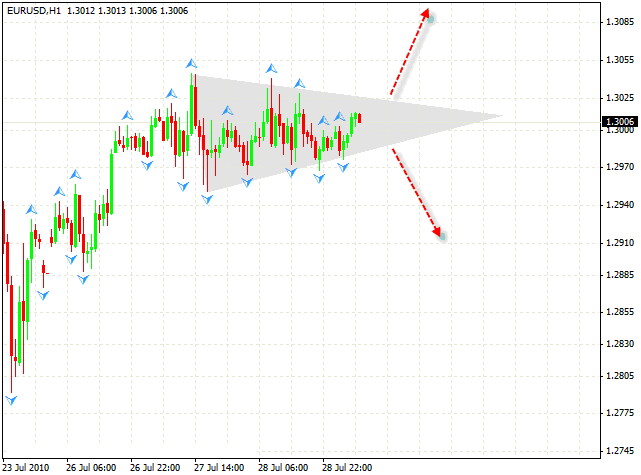 In case of the EUR/USD currency pair we can see a “triangle” forming. I recommend you to start online currency trading towards the broken side of the “triangle” after it is broken, the target is 90 points. If the price goes up, our target will be the area of 1.3130; if the price goes down, our target will be the area of 1.2904. Yesterday Franc fell to the level where the 5th point of reference is formed; one is recommended to buy only if the price is out of the descending channel at short periods of time. 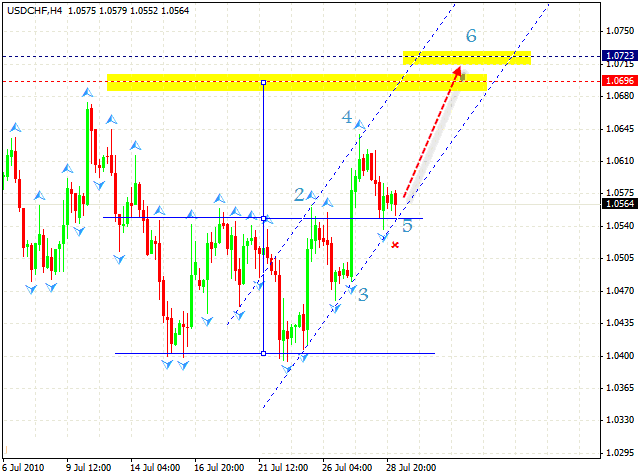 The target is the area of 1.0696-1.0723. 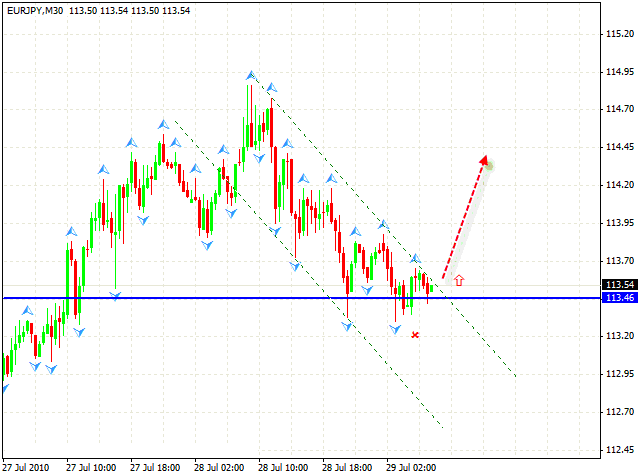 The stop must be hidden behind 1.0535.Don’t forget to move stop into the black as soon as possible. 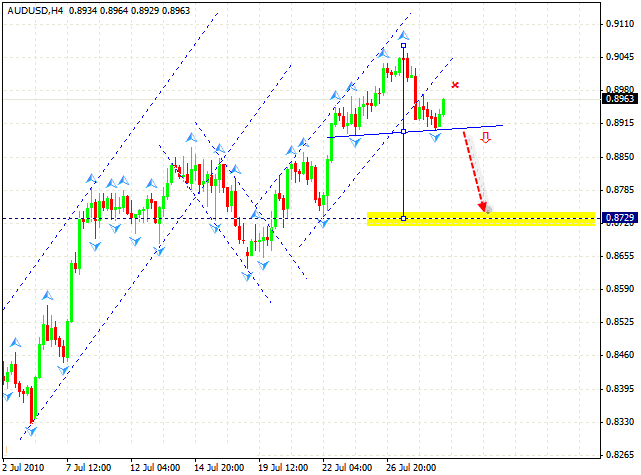 Australian Dollar seems to form “head & shoulders” reversal pattern with the target in the area of 0.8729. One can try to sell the pair only after the neckline is broken. The stop must be behind the “shoulder”, as usual.